“Cut Your Losses Short & Let Your Winners Run”. Stocks can literally go to zero. It happened many times before and will happen in the future, regardless of how big the company is. MANY oil and coal companies recently filed for chapter 11 bankruptcy and their stocks got delisted. You may also remember Lehman Brother and General Motors. What happens when your stock falls off a cliff and gets delisted? You simply lose all the money you invested in that stock. Also, the other reason why it is so important to cut your losses while they’re still small, is for the simple arithmetic reason that it is more difficult to recoup your money after a loss. For instance, let’s say you had $10,000. If you lose 50% of your money you’re left with $5,000. So with $5,000 left, just in order to get back to $10,000, you’ll have to make a profit of 100%! Moral of the story: cut the hell out of your losses while they’re small. What about letting your winners run? Well given the fact that even the best of the best traders usually have a long term win/loss ratio of about 50% (meaning they’re right about 50% of the time), it is obvious that the only way to make money is to make much more when you win, than when you lose. 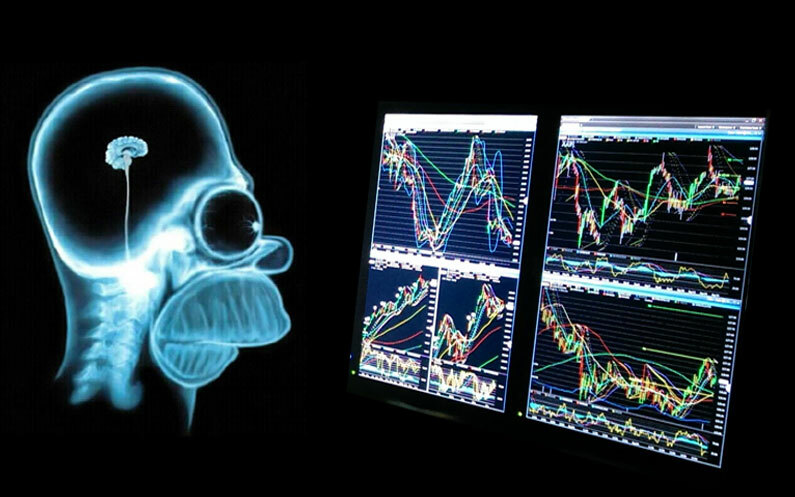 So you should not only take trades that have the potential to generate a profit much larger than the potential loss, and you should ride the trade as long as the trade is making you money. A big winner will make up for all the small losses you’ll incur. Although cutting your losses short and letting your winners run” may seem logical, it can be extremely difficult to follow when money is on the line. If it was easy, everybody would be making tones of money. But why is it so difficult? The short answer is because of how our brain is wired. Indeed, we, humans, have a very old brain which makes us prone to many cognitive biases. Those biases cause us to often act irrationally when faced with a stressful situation. In trading, when we’re faced with the risk of losing money, one of the main cognitive bias we tend to suffer from is “Loss Aversion”, a concept that was demonstrated by psychologists and behavioral economists Amos Tversky and Daniel Kahneman. 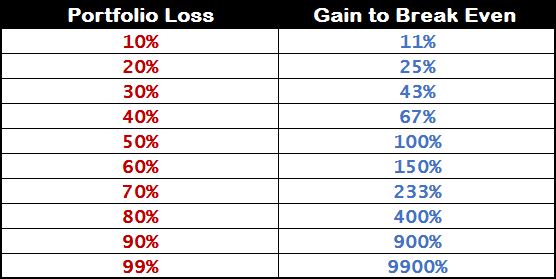 Basically, “loss aversion” refers to our tendency to prefer avoiding losses rather than acquiring equivalent gains. In other words, our nature dictates that we are more likely to let our losers run, in order to avoid taking a loss, and cut our winners short in order to avoid losing the small gain we have. Yes, that is the exact opposite of what we have to do in order to make money consistently in the markets. There are many other cognitive biases that are at play when we trade such as the confirmation bias, the blind sport bias, the availability heuristic, the disposition effect, the gambler’s fallacy, the survivorship bias, … but we’ll talk about them in future posts. So what can we do in order to bypass our natural tendency to loss aversion and put ourselves in a position to make money? As soon as you have a well-defined strategy, you’ll be able to know where you’re going to sell before entering a trade. You’ll know your stop loss level, and then if the position starts being profitable, you’ll know exactly when and where you’ll move your stop (using, for instance, volatility stop, moving average cross, …). If you don’t know where to sell prior to entering a trade, do NOT enter the trade. Period. When in a losing position, we’ll often rationalize that we still haven’t taken the loss as long as we haven’t sold, while hoping the stock will come back to our breakeven point – even though it sometimes never does. Well, here is the reality: you ALREADY have the loss. Whether you call that a “paper” loss or a losing position, the loss is very real. If you needed the money right away, you wouldn’t be able sell the stock for the price you paid for. Also in this type of situations, you start being married “til death do us part” to your position. But there are undoubtedly other better trades that will come along the way. While what’s left of your money is stuck in that losing position, you could be missing on a huge winner that would have not only helped you recoup the money you lost but also made you a profit. So staying in a losing position is a bit like getting a surgery from a surgeon who killed his last patient. In the same way as you would get a better surgeon, get rid of your losing position and wait for a better one. The daily fluctuations can drive you absolutely crazy and will tempt you to deviate from your plan. Once in a position, just stop looking at it and do something else until a real sell signal (as per your own rules) occurs. Enter your stop loss in the system or setup an alert, and go enjoy life. If you really have to watch your positions from time to time, you should not watch the profit & loss amount or percentage. You should watch the chart instead. Seeing dollar figures or percentage figures will accentuate your proneness to loss aversion. Do NOT watch your P&L but watch only the chart instead. Just place your stop loss level on the chart, and when it’s hit, just sell accordingly. Living Off Trading: Is It Possible? RT @AsennaWealth: I used to spend 50% of my time arguing with traders on the other side of my trade......then I learnt how to trade. 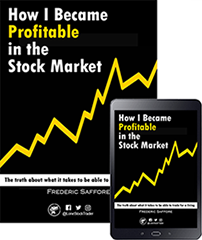 + Receive this exclusive E-Book "How I Became Profitable in the Stock Market"